Corporal William David Morgan (17 September 1947 - 25 February 1969) was a U.S. Marine Corporal who was posthumously awarded the Medal of Honor, the U.S. military's highest award for valor, for his heroic actions during the Vietnam War. William David Morgan was born on 17 September 1947 in Pittsburgh, PA. He attended Mt. Lebanon High School in Mt. Lebanon, PA, graduating in 1966. He then attended Hiram Scott College, Scotts Bluff, NE, for six months. Morgan enlisted in the U.S. Marine Corps Reserve in Pittsburgh on 18 November 1966. He was discharged from the Reserves on 4 January 1967 to enlist in the Regular Marine Corps. Upon completion of recruit training with the 3rd Recruit Training Battalion, Marine Corps Recruit Depot Parris Island, SC, in March 1967, he was transferred to Marine Corps Base Camp Lejeune, NC, where he completed individual combat training with Company D, 1st Infantry Battalion, 1st Infantry Training Regiment, in April. From May until June 1967, he was a student at the Sea School, Marine Barracks, U. S. Naval Shipyard, Portsmouth, VA. He was promoted to Private First Class on 1 June 1967, and to Lance Corporal on 1 February 1968. Lance Corporal Morgan served a one year tour of sea duty with the Marine Detachment aboard the USS Newport News (CA-148). In July 1968, he was transferred to the Republic of Vietnam. He served as a rifleman, fire team leader, and squad leader, with Company H, 2nd Battalion, 9th Marines, 3rd Marine Division. 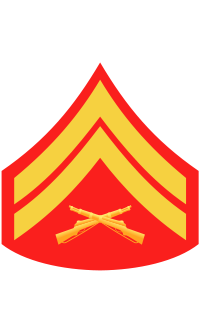 He was promoted to Corporal on 1 September 1968. 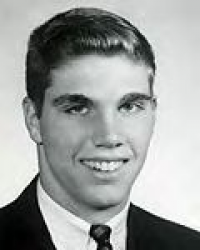 While participating in Operation Dewey Canyon, southeast of Vandegrift Combat Base on 25 February 1969, he was killed in action. For conspicuous gallantry and intrepidity at the risk of his life above and beyond the call of duty while serving as a squad leader with Company H, in operations against the enemy. While participating in Operation DEWEY CANYON southeast of Vandegrift Combat Base, one of the squads of Corporal Morgan's platoon was temporarily pinned down and sustained several casualties while attacking a North Vietnamese Army force occupying a heavily fortified bunker complex. Observing that 2 of the wounded Marines had fallen in a position dangerously exposed to the enemy fire and that all attempts to evacuate them were halted by a heavy volume of automatic weapons fire and rocket-propelled grenades, Corporal Morgan unhesitatingly maneuvered through the dense jungle undergrowth to a road that passed in front of a hostile emplacement which was the principal source of enemy fire. Fully aware of the possible consequences of his valiant action, but thinking only of the welfare of his injured companions, Corporal Morgan shouted words of encouragement to them as he initiated an aggressive assault against the hostile bunker. While charging across the open road, he was clearly visible to the hostile soldiers who turned their fire in his direction and mortally wounded him, but his diversionary tactic enabled the remainder of his squad to retrieve their casualties and overrun the North Vietnamese Army position. His heroic and determined actions saved the lives of 2 fellow Marines and were instrumental in the subsequent defeat of the enemy. Corporal Morgan's indomitable courage, inspiring initiative and selfless devotion to duty upheld the highest traditions of the Marine Corps and of the U.S. Naval Services. He gallantly gave his life for his country. One of the Marines that was saved by William Morgan that day is Robert "Bob" Ballou of Redlands, CA. One of the Marines KIA was Robinson Santiago who was directly behind Bob Ballou. The name William David Morgan is inscribed on Panel 31W, Line 054. There is a small memorial to him at Mount Lebanon High School. Corporal William David Morgan was killed in action on 25 February 1969. He is buried at Mount Lebanon Cemetery in Mount Lebanon, PA.